Dandruff is a condition of the scalp that causes dryness, flaking, and scaling of the skin. It affects almost all people regardless of age and gender. It is not contagious and harmful but can be embarrassing especially when those dry white flakes fall from your hair to your shoulders. 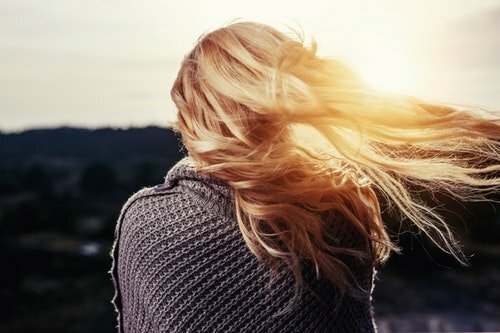 Dandruff can be caused by several factors including dry skin, sensitivity to hair products, and several skin conditions like eczema and seborrheic dermatitis and worsens during fall and winter seasons. It is usually can be controlled by shampooing daily with a gentle cleanser but complicated cases may require the use of medicated shampoos. Anti-dandruff shampoos in the form of a bar are one of the effective ways to reduce and treat dandruff. Shampoo bars are now gaining popularity on the market especially for those who are environmental advocates as they avoid the use of plastic,. They are also popular among frequent travelers as they avoid problems carrying liquids through security or buyers who prefer to use natural and vegan products. A shampoo bar is basically a shampoo in a solid form, mostly made of natural and organic ingredients and comes in plastic-free packaging. There are a lot of shampoo bars out there to choose from and here are some of the best all-natural, eco-friendly, plant-powered shampoo bars that are great everyday essentials for a beautiful and healthy-looking hair. The shampoo bar by ArtNaturals contains all-natural and organic ingredients suitable for sensitive skin. Aside from the aromatic and relaxing scent it gives, essential oils of eucalyptus (promotes hair growth and relieves itchy scalp), lavender (to soothe the scalp and prevent skin inflammation) and orange (to control oily scalp) formula help treat dandruff, hair fall, and itchiness of the scalp. Enriched with coconut oil, palm oil and olive oil for a deep-cleansing and nourishing lather experience. It is also sulfate-free to avoid stripping your hair and scalp of natural oils and at the same time freeing it of any grime and dirt. The whole brand is vegan and cruelty-free making it stand out on the market. 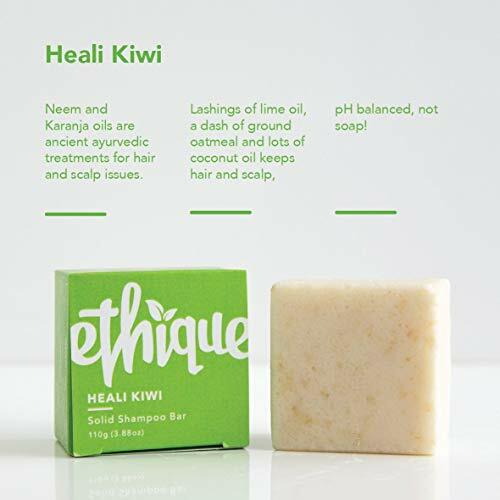 The Ethique Heali Kiwi Shampoo bar has to be one of the best natural shampoos in the market to treat dandruff. Kiwi fruit and oil are rich in nutrients and vitamins that fight hair loss and stimulates hair growth, prevents hair from drying and keep it nourished for a softer feeling. It is formulated together with coconut oil (for thicker and volumized hair), neem oils (has anti-oxidant properties that increases hair growth), oatmeal (for softer, silkier hair and healthy scalp), calendula and manuka oils (soothes dry scalp and removes dandruff) that instantly hydrates hair and scalp and gets rid of dandruff for a healthy looking you. This plant-powered shampoo bar is also ideal for color-treated hair because it is 100% soap-free and pH balanced. It is infused with Karanja oils which have therapeutic properties that ensure your scalp is dandruff-free. The shampoo bar being a vegan and eco-friendly product is a great everyday essential for beautiful hair. 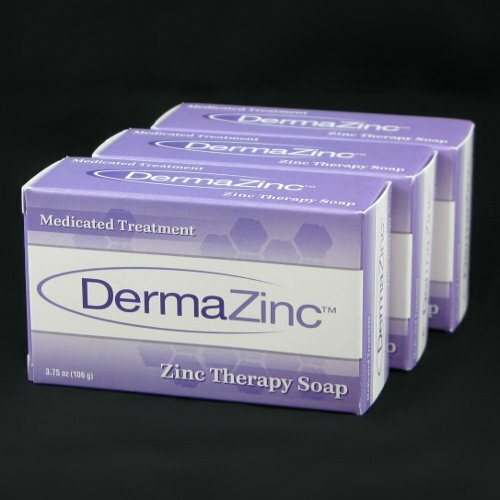 DermaZinc Zinc Therapy soap can be used as a shampoo, face wash or body wash. It is specifically formulated to help relieve the itching sensation, irritation, scaling, flaking, and redness associated with skin conditions such as seborrheic dermatitis and dandruff. The addition of the active ingredient Zinc Pyrithione works wonder on different chronic skin conditions including eczema and psoriasis and helps fight dandruff and itchy scalp because of its antifungal and antimicrobial properties. Extracts of coconut oil, palm oil, olive oil, grapeseed oil, cocoa butter, organic oatmeal, shea butter, salt, deionized water, glycerine, sodium hydroxide, zinc oxide, and Vitamin E generally keep hair’s moisture in and damage out. It is also extremely effective in reducing dryness and irritation of the skin and hair and eliminates dandruff. There are also successful reports that DermaZinc soap can be used to treat acne. It is safe and effective to use daily for both adults and younger ones. Click here to read more about the benefits of using olive oil soap. 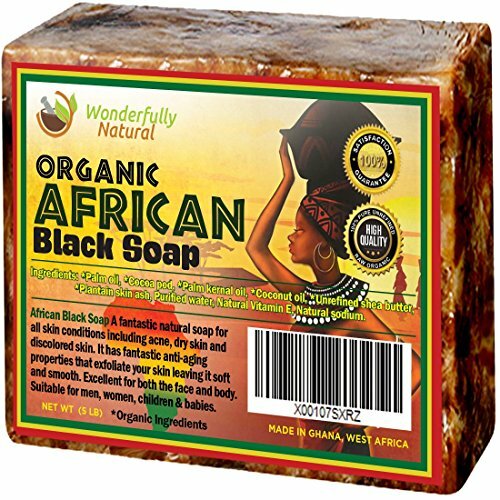 The Wonderfully Natural Organic African Black Soap is highly effective on both skin and hair care, making it one of the most popular products for skin nourishment. As a hair cleanser, it gently cleanses and removes build-up and impurities while enhancing your hair’s natural beauty. When used as a face and body cleanser, it helps to minimize acne break-outs, lighten dark spots, relieves dry skin, alleviates oily skin and helps treat several skin conditions like eczema and psoriasis. The soap’s signature formula, Shea butter acts as a moisturizer. It is filled with Vitamins A and E that has healing properties for the skin, prevents hair loss, and relieves scalp from drying and flaking. Other organic ingredients include cocoa pod powder, palm oil, palm kernel oil, and coconut oil that generally keeps skin smooth and hydrated without the greasy build-up. It leaves hair shiny, strong, protected, healthy-looking, and manageable for easy styling. 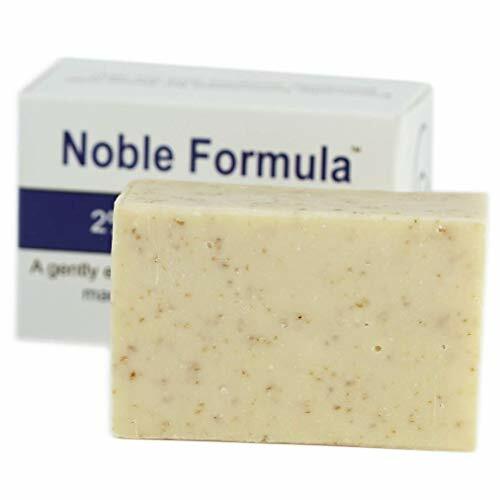 The Noble Formula Original Emu Bar soap with 2% Pyrithione Zinc (ZnP) is a gentle and effective cleanser made in the United States. It is generally used to remove the build-up of oil, dirt, and debris while relieving the itchiness and irritating feeling caused by the dry scalp and several skin conditions. The soap is specifically formulated for people with eczema, seborrheic dermatitis, psoriasis, dry and sensitive skin. Each soap bar contains an active ingredient of Pyrithione Zinc, just like in the DermaZinc Therapy bar soap. It has antifungal and antimicrobial properties and is best known for treating dandruff. The goodness of olive oil and emu oil extracts instantly penetrates into the skin and keeping moisture in that last long. In addition, the milled oats formula act as a skin exfoliant with calming and soothing properties. It is great everyday essentials for healthier hair and skin and works well for all skin types. 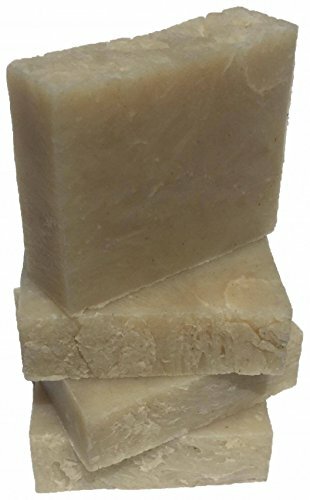 The Tea Tree Oil Shampoo Bar for Hair, Body, and Beard is an all-natural shampoo bar purely handmade with over-the-top quality ingredients that have been carefully selected to provide the maximum hair care benefits. It is among the premium organic soap bars by the Soap Haven, which only produce the finest natural soap with premium USDA organic/ non-GMO certified plant ingredients infused with top quality essential oils and other natural goodies. With the naturally anti-fungal tea tree oil as its active ingredient, it does not only treat symptoms but also targets the root cause of dandruff for long-lasting effectiveness. It is also proven effective against acne and also helpful for body rashes, jock itch, and body odor. It is the perfect organic soap for those who simply want the best! With the simple mission to use the power and simplicity of nature to cleanse, soothe, heal and protect your skin, the Chagrin Valley Soap & Salve is one to beat in the market. The company is dedicated to crafting high quality, healthy and effective skin and hair products that will not only nourish your skin but is also environmentally friendly. 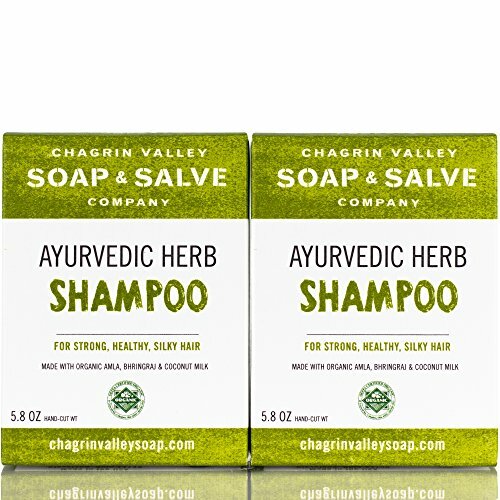 Offering its top of the line product, the Ayurvedic Herb shampoo bar is a rich oil infusion of Ayurvedic hair care herbs for a nourishing all natural shampoo. This bestseller shampoo contains a complete package of nourishing and helpful herbs to combat dandruff and to enhance the overall quality of your hair. Some of the power ingredients include: Hibiscus flowers which treat issues of the scalp such as itchiness and dandruff; Shikakai, a well-known Ayurvedic herb which gently cleanses hair and increases volume and softness; Bhringaraj, considered the ‘king of herbs’, helps strengthen the hair roots and promotes hair growth; and coconut milk which is widely used all over the world as a deep conditioning treatment for hair. SAL3 Acne Treatment Soap offers an advanced way to combat dandruff, acne, and other hair and skin problems. Since 1999, it is the world’s most used and trusted sulfur soap with salicylic acid. It is distributed and clinically recommended by dermatologists across the USA, Canada, Europe, and Australia and has long been considered a perfect over-all remedy to a wide variety of skin conditions. Its medicated soaps contain premium ingredients of 3% Salicylic acid and 10% sulfur which is known for antiseptic, antibacterial, and anti-fungal properties. These properties make it an ideal treatment soap for relief from Demodex mites on the skin, itchy skin, tinea versicolor, dermatomycosis furfuracea, pityriasis versicolor, Tinea flava, Rosacea, Psoriasis, Eczema, Dermatitis, Itch Mites, Head Lice, Jock Itch, and much more. Lastly, it is also an ideal soap for your pets against the annoying fleas! 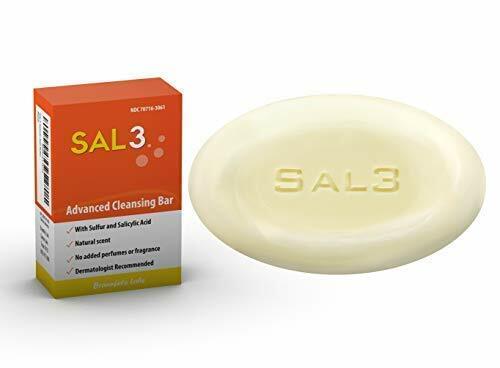 SAL3 is definitely a multipurpose bar soap meant to impress. The Yellow Bird, a family owned and run all natural skin care company, boasts its use of simple ingredients yet tremendous results on skincare technology. One of its bestselling products, the Peppermint Shampoo Bar Soap is specially formulated with the top of the line organic ingredients that care for your scalp and hair. It is mild and contains zero detergents that strip your hair of its natural oils. It is sulfate free, silicone free, and paraben free, and is considered a natural alternative for dandruff shampoo. It’s key and unique ingredients include the kaolin clay and sea salt which are natural exfoliants and help get rid of unwanted buildup. It is also rich in Vitamin E which hydrates and protects the hair from frizz and breakage. Lastly, it is an all-in-one eco-friendly shampoo for everyone that can be used from hair to toe making it the perfect travel companion. Beers are our most endeared alcoholic beverage that everyone associates with good times among family, friends, and colleagues, loud parties and one-of-a-kind moment at any time of the day. However, beer is not just a mere companion as it paved the way as a beauty potion for the skin and for the hair. 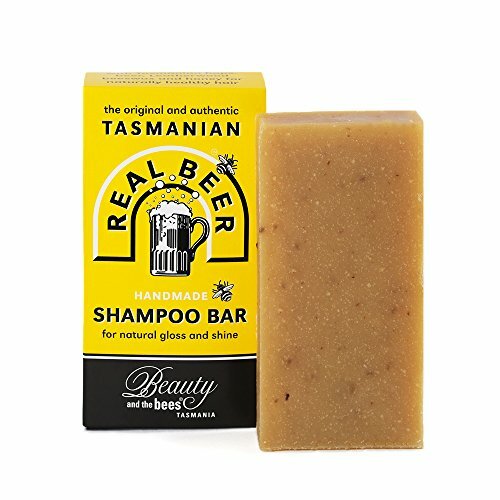 The Tasmanian Beer Shampoo Bar and Conditioner Bar Hair set, a crowd favorite duo by the Beauty and the Bees, are traditional bars that are carefully hand-crafted with the finest Tasmanian beers, hops, leatherwood honey, and beeswax and are enriched with a variety of plant and nut oils. It is also one of our top picks if you have hard water. Beer has the unique ability to leave hair bouncy, shiny, and voluminous while the hops are soothing and have antiseptic benefits. 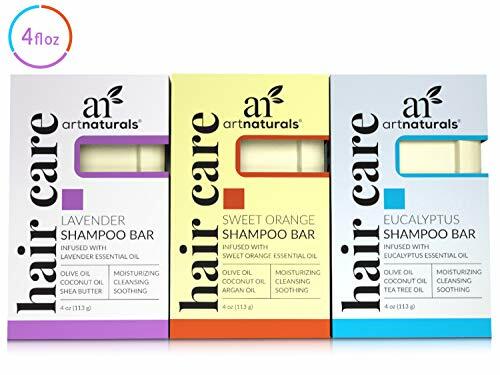 The bars are naturally chemical-free and are perfect for everyone to use, but are highly recommended for people with dandruff, oily hair & scalp, fine or thin hair or those who simply want shiny healthy hair. 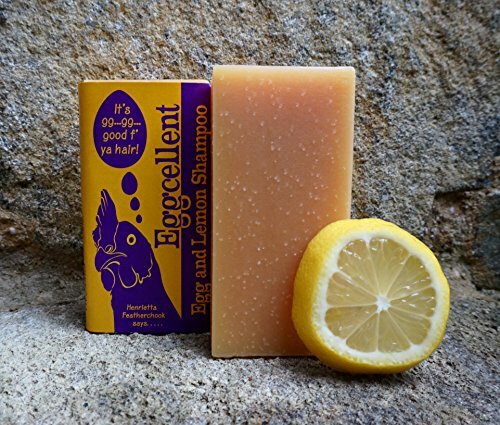 Another great product line from the Beauty and the Bees is the Eggcellent Egg & Lemon Shampoo Bar. And the key ingredient? Eggs, of course! Eggs, particularly the yolk, are widely known for a variety of benefits for hair. The yolk acts as a natural moisturizer which hydrates dry hair. It also softens and smoothens the hair but retains its volume and natural shine. Vitamins A and E which are contained in the egg yolk helps control hair loss problems by strengthening the hair follicles. They also help damaged and brittle hair to prevent hair breakage and split ends. Other helpful ingredients are the lemon and lemon myrtle essential oils that boost the antiseptic property of the shampoo making it effective against dandruff and dry scalp. It is a soap for everyone but is especially recommended for those with thin hair, or for those who are looking for an extra special boost! While there are a lot of factors to consider in choosing the best shampoo bar to use against dandruff, it is important to know that the effects of a certain brand will still be different from person to person. Based on the pros and cons of the 11 best shampoo bars for dandruff, the top 2 picks are Ethique Heali Kiwi Shampoo bar and Chagrin Valley Soap & Salve Organic Natural Shampoo Bar-Ayurvedic Herb. Both products provide a wider range of beneficial effects from hair to toe. They are also proven and considered to be the best natural shampoo bars in the market to treat dandruff. 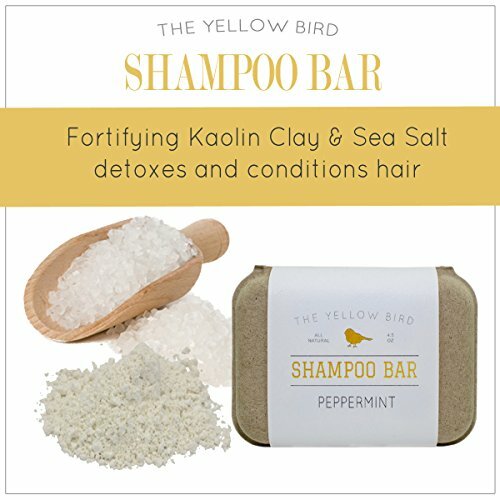 So why use shampoo bars instead of the conventional way of using liquid shampoo? Because they are wholly natural, gentle, environmentally friendly, cost-effective and very convenient. Do you have anything in mind, or disagree with the products reviews? Kindly leave a suggestion in the comments section below.